MASVINGO - Glaring ambiguities in Section 51 of the Constitution has seen Masvingo High Court Judge, Justice Joseph Mafusire reserving judgment in a case by which a Harare woman has mounted a legal challenge against President Emmerson Mnangagwa for allegedly failing to operationalise the National Peace and Reconciliation Commission (NPRC) in time. The NPRC was only operationalised through an Act of Parliament in January 2018, with its mandate scheduled to end in 2023. However, Concilia Chinanzvavana, who is a member of the opposition MDC, filed a High Court application demanding that the 10-year lifespan of the commission should end in 2028, and not in 2023 since government did not operationalise it immediately after the adoption of the new Constitution in 2013. Chinanzvavana claims to be a torture survivor who suffered enormous abuse in the hands of State security agents after the sham 2008 election results were announced. She is being represented by Tendai Biti, backed by the Zimbabwe Lawyers for Human Rights (ZLHR). 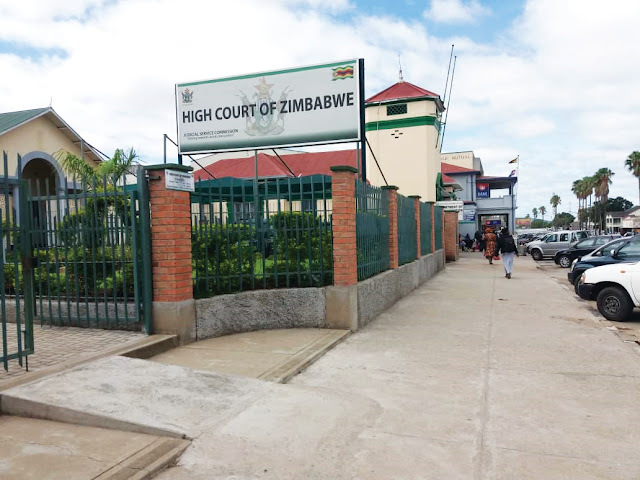 In their submissions in court today, February 15, the applicants argued that by operationalising the commission in 2018, President Mnangagwa was in violation of Section 51 (1) of the Constitution. “There has been delays in operationalising the commission for political reasons. Zanu PF did not want to be have their atrocities investigated hence the reason it took them five years to set up the commission. “The commission should have been operationalised in 2013 and expire in 2023 according to the Constitution. So we want to know what will happen to the other wasted five years. We submit that the 10-year lifespan of the commission start in 2018 so that it will have time to look into the atrocities committed against the applicant,” said Biti. Mafusire said he found the section to be the most ambiguous in the whole supreme law document. “There is no such ambiguity on the provisions of other commissions but this one has a problem. We are finding it difficult to interpret. Judgement will be reserved and both parties will be notified once it becomes available. “We do not know whether the 10-year period is the lifespan of the commission or it is the stipulated time frame within which the commission has to be setup,” said Mafusire. President Mnangagwa was represented by Kenias Chimiti from the Attorney General’s office who had a torrid time presenting his defence. Chimiti changed his statements and mumbled through his responses each time the judge sought clarifications, drawing the ire of Biti who scorned the AG’s office for sending an ‘inexperienced’ representative. Mafusire also drew Chimiti’s attention to Section 324 which demands that constitutional obligations be performed diligently without delay, and asked him if he did not feel that by spending five years without operationalising the commission, government had not violated the law. Again, Chimiti mumbled through his response.